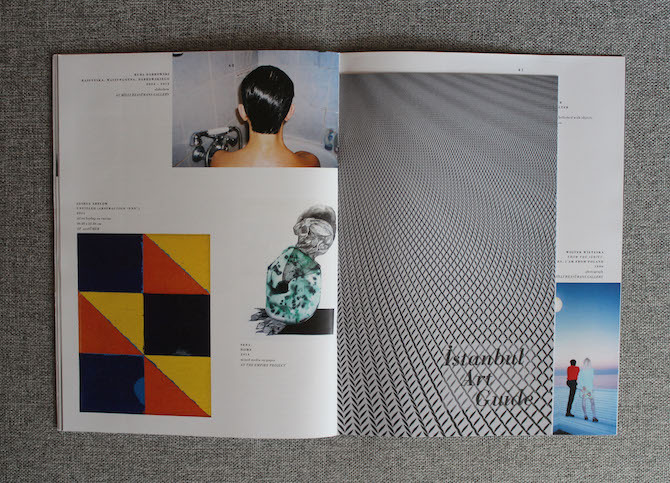 Mine Kaplangı: What made you create the art magazine exhibist in Turkey? 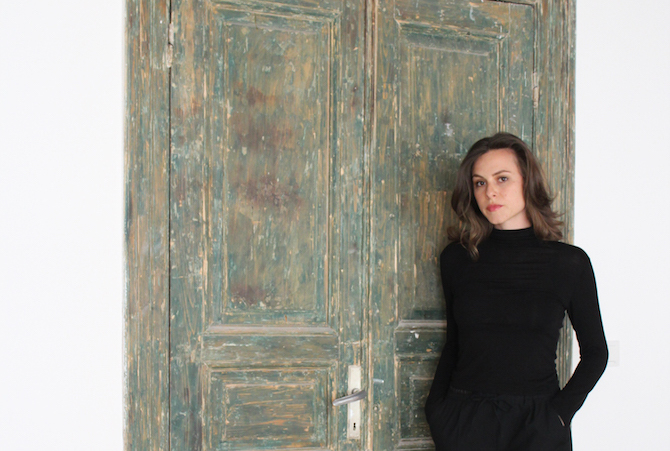 Anna Zizlsperger: A few years ago everybody talked about the potential and the market of Turkish Contemporary Art. I worked for Bonhams Auctioneers in London, but looked for a change, so me and my husband Erhan Patat moved to Istanbul in 2011. While he started his architectural office pad, I took some time to observe the art scene in Istanbul, which was vibrant but also full of gaps that needed to be filled. There was, for example, hardly any English-language information about the Turkish Scene. In 2012 I thus started an online platform providing English texts about Istanbul's art scene. The decision to add a print magazine to our online presence was born out of my wish to produce something that people could keep and collect, rather than flicking through before moving onto something else. A high quality content in a well-designed format. Mine: You say there is a lack of English texts in Turkey's art scene. Why do you think is it difficult to find critics who can write in English in Istanbul? Anna: I think there is a big need for more writing in both English and Turkish. People do not read a lot, so writing seems to be a difficult task for many. On top of that, writing and the tools you need to be a writer, don’t seem to be promoted at high school and are not focused on at university. There is no solid base, and there just isn’t enough practice. But I think this will change in the near future as more and more people go abroad to study. Mine: Is every issue dedicated to a particular theme? Anna: In the beginning we covered major aspects of the Turkish Contemporary Art Scene. We had focus sections on curators, collectors, critics and one analytical issue offering an overview on the scene’s development over the past decade. 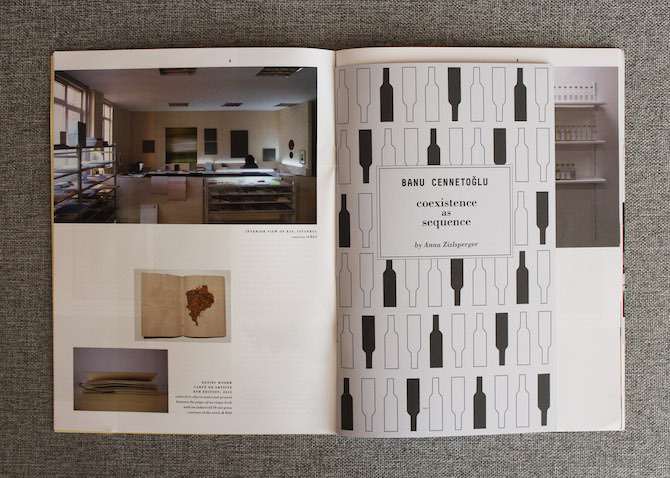 Since issue 5 we focus on a specific medium, such as ‘Photography’ or, as in our current May issue, 'Contemporary Drawing'. I enjoy the potential of thematic issues as it forces us to dig deep into a certain field, meet and talk to experts and discover artists, learning about their ideas. Mine: Which part of putting together the magazine is most challenging for you? Anna: Researching, creating content and thinking about the design are the fun parts of publishing a magazine. Gathering simple bits of information, like titles and dates of exhibitions, can be tedious work — especially here in Turkey, where people seem to hate planning ahead! My biggest wish is to be relieved of the business responsibilities. It was also quite a challenge to find a reasonably priced print shop, where people understand what we are trying to do and could relate to our high standards of quality. 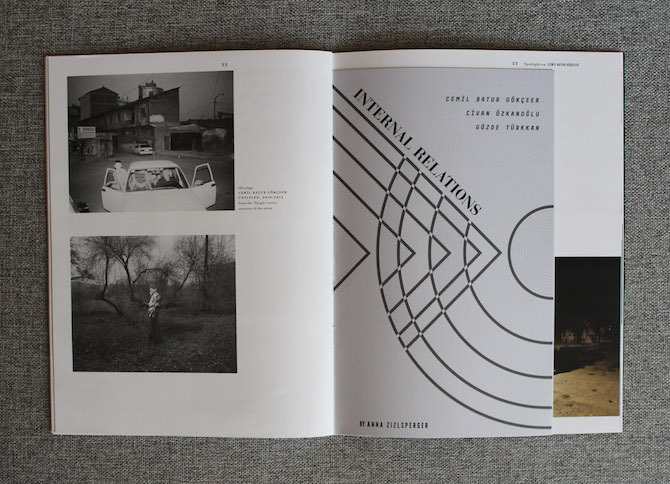 The design of our magazine is problematic for classical automatised production. Many steps have to be executed by hand, which opens up room for mistakes. Mine: In a time of e-books and online magazines, why did you decide to go for print? Anna: The ‘handmade’ look and feel of the magazine is its big strength. I know that many people think printed matter is a thing of the past, but as the paper era of everyday life disappears, printed matter is undergoing a functional shift from information transfer to other roles. The changes in technology will make people even more aware of what ebooks or online blogs lack: the presence and materiality of printed matter, the experience of reading, of holding in your hands an object that was created by someone. Printed objects have a very unique quality that will never cease to hold a certain fascination. 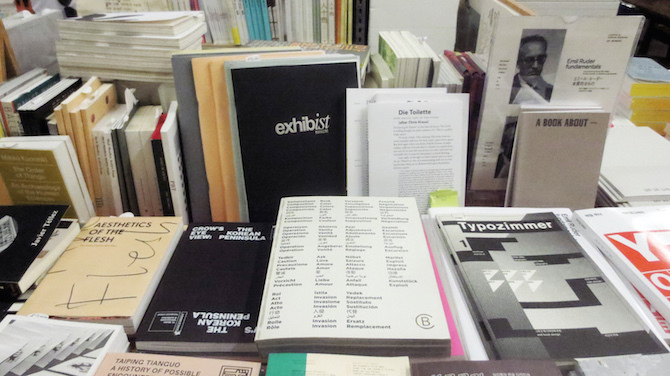 I am very optimistic about the future of independent publishing in our ‘post-digital’ age. Mine: Is exhibist primarily addressed to Istanbul's audience, or to an international readership? Anna: The main goal of creating the magazine in English was to open up the scene to an international audience, both in Turkey and abroad. There are people interested in the Turkish Contemporary Art Scene everywhere in the world, including all the Turkish expats who want to keep up to date on art developments back home. 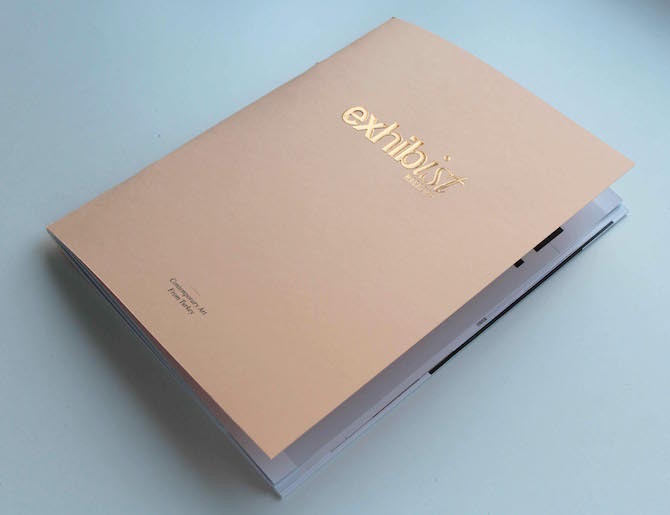 exhibist actually travels a lot: We are currently selling the magazine in Amsterdam, Ankara, Austin (TX), Berlin, Düsseldorf, Istanbul, London, Munich, Paris, Seoul and Zurich, and we are media partners with LISTE art fair in Basel and Art Dubai. Mine: What du you think about the art scene in Istanbul? Anna: Having foreign artists and institutions do reciprocal travels — from and to Turkey — has created a new generation, opening up greater networks of collaborations. Those who are unable to travel abroad are still able to benefit from the increasing visibility of world-acclaimed artists in Turkey, such as Marc Quinn, Tracey Emin and Anish Kapoor. However, as these are relatively new developments, the Istanbul art scene is still rather 'local' if you compare it to big international art hubs. Only a few galleries attend international art fairs or cater to international clients. However, Istanbul galleries and institutions are starting to represent and exhibit international artists, so I feel the scene is increasingly opening up. Mine: What exactly are these differences about the art climate in Turkey compared to other countries? Anna: There is a lack of cultural support for contemporary art from the government in Turkey, which could be seen as a disadvantage. But it keeps artists and galleries from being exposed to censorship or having to exhibit art to please the tastes of certain financing parties with political agendas, thus giving it more freedom in a sense. Private institutions and galleries, as well as local art fairs that introduce and support non-profit projects, form the backbone of the Istanbul's art scene. Although this scenario comes with some drawbacks, it also presents great opportunities. In any case, I believe problematic surroundings encourage a more diverse and engaged art production. The scene here has its own texture and dynamism; it has a very young identity, constantly reinventing itself along with society. This is where I see its potential. Istanbul needs inter-institutional communication and research-based collaborations so that institutions can invest in a greater number of intellectual pursuits to develop critical thinking and dialogue between one another. 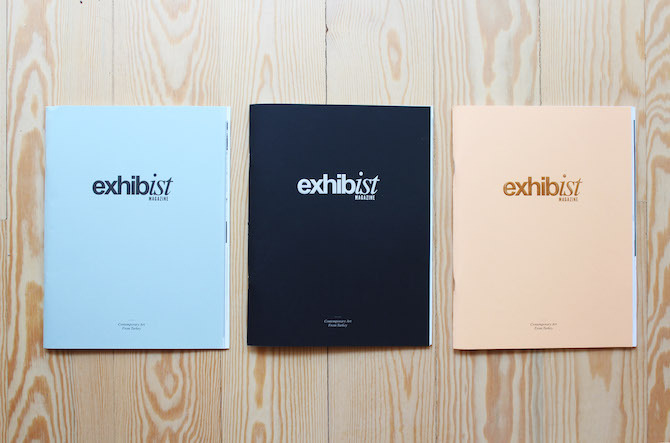 Mine: How do you see exhibist magazine's involvement in these inter-institutional communications? Anna: In September, we will for example have a special Biennial issue focusing on both the Istanbul Biennial and artists from Turkey at the Venice Biennial, where there is an exceptionally strong presence this year. There will also be a collaborative exhibition that we are organising with Mixer, including artists who we’ve featured in the magazine, such as Arslan Sükan, Sibel Horada, Asli Narin, and Candaş Şişman, to mention a few.